Since my mom already know that I want to try something new, she decided to have our family lunch in Kangaroo Jack in Robinsons Place Ermita. Awwwwww. Thanks mom for being so understanding. 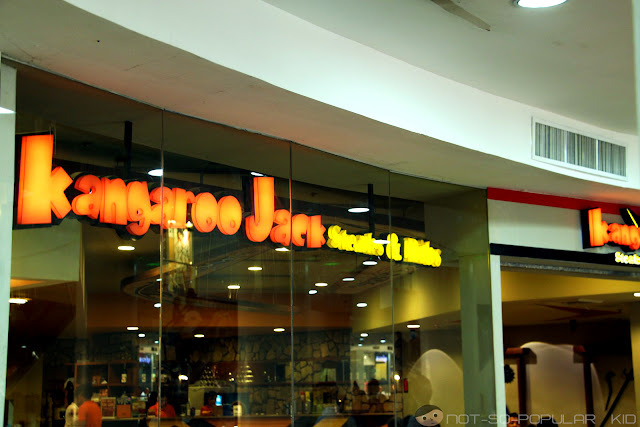 Before we eventually tried this restaurant out, we have passed by Kangaroo Jack numerous times already. But, it seems like it still lacks an ambiance that will convince you to actually check out the place. 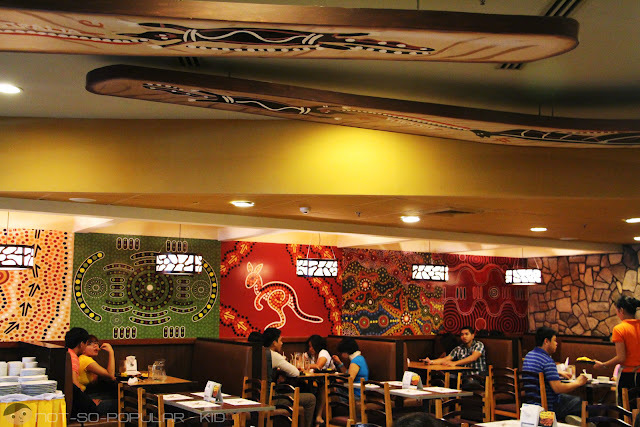 Now, I understand this because Kangaroo Jack is branded to be a casual steakhouse, and so, anything fancy is not likely to be seen. However, fret not because the place is fine and comfortable to be in. Well, check out the colorful theme of the place! And there's a kangaroo over there! Cute right? And I believe all these are making the place look casual and fun (which, I think, is a good thing). 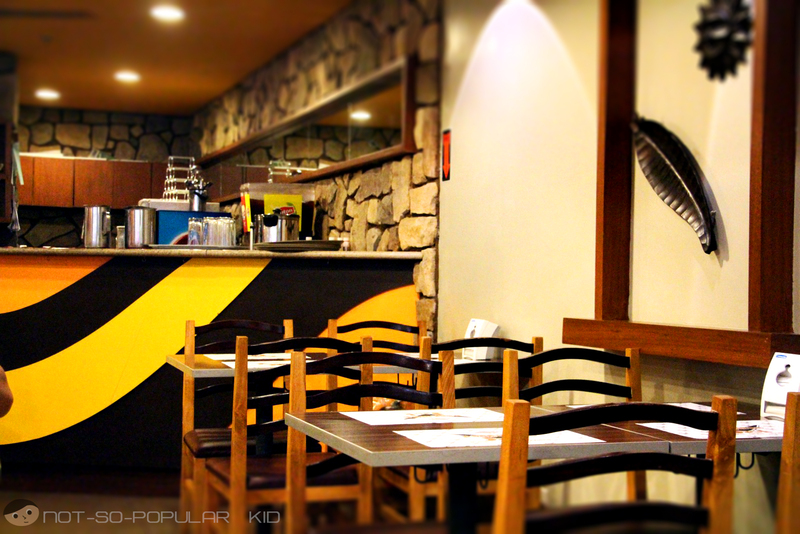 Yup, as I said, this is a casual restaurant so the tables and chairs are simple yet has that edgy undertone. Now it's time to settle down! Above's a photo of the menu cover. And since we don't have any idea of what we should order here, we decided to go by our instincts. 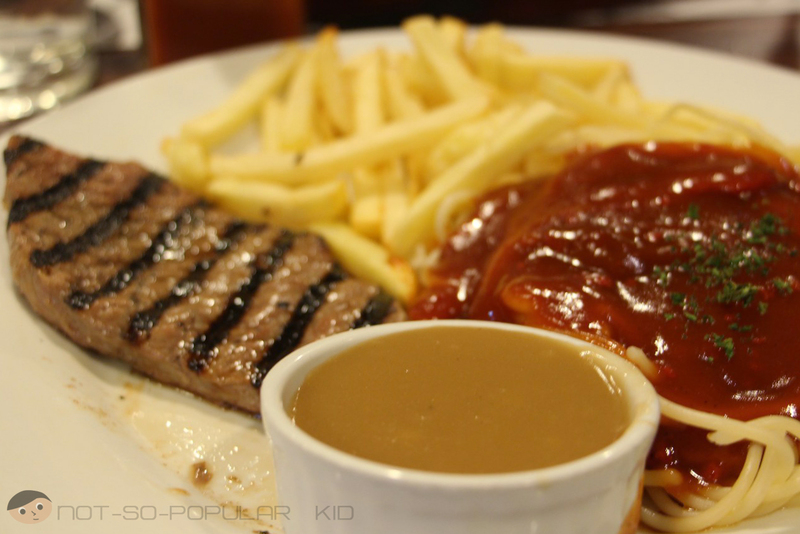 For my order, I chose the Steak, Pasta and Soup Meal at P155(+8.92% SC) primarily because I was craving for some pasta. 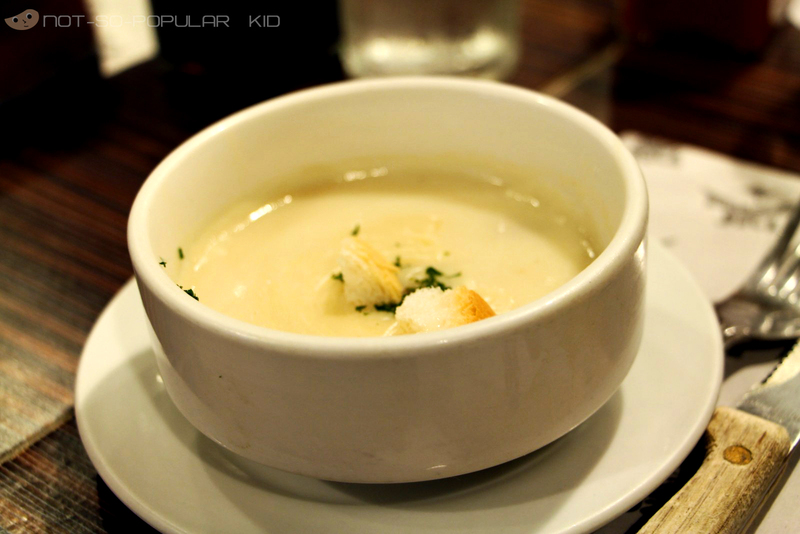 It was wonderful because I had a great start with the soup! Well frankly, it didn't taste that fantastic, but it was great enough to start things out. I enjoyed the taste, the creaminess and the appearance. And so, I became eager for the rest of my order. Unfortunately, what stumbled upon me was something not-so-appealing. Again, I was craving for some pasta, and so I was expecting something nice. But when I tasted the spaghetti, I was gravely disappointed because it tasted below par. In fact, it tasted like an ordinary birthday spaghetti with an overpowering level of sweetness. Luckily, it was somehow compensated by the steak, which was tender and flavorful. And with that, I realized that they really do specialize in Steaks and Ribs. 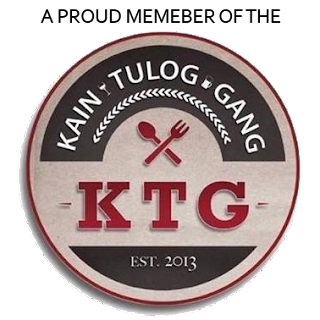 So friends, next time you visit, try to focus more on those specialty dishes. 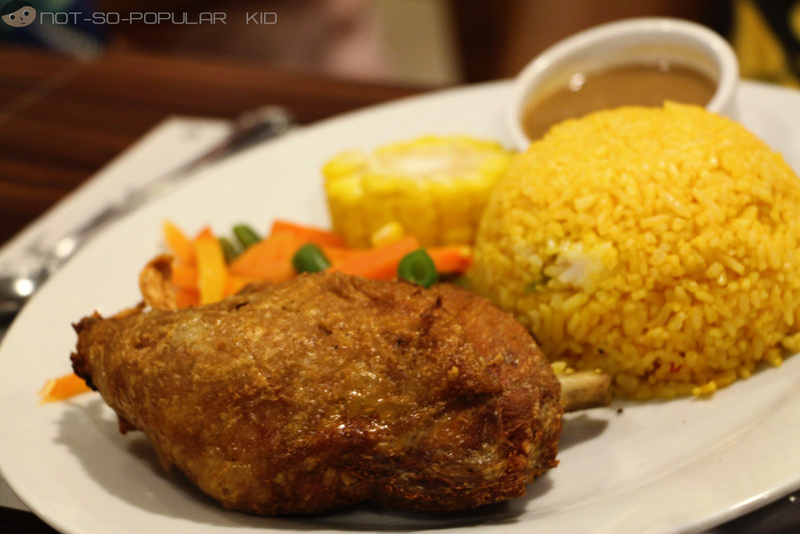 Kangaroo Jack Fried Chicken: Affordable! I asked for a small portion from my brother because I wanted to know the taste. Wow, it was great! I mean, compare it with the spaghetti I had, this one was quite enjoyable. Plus, this is what you can call "sulit" because the price is right and the taste is fine. 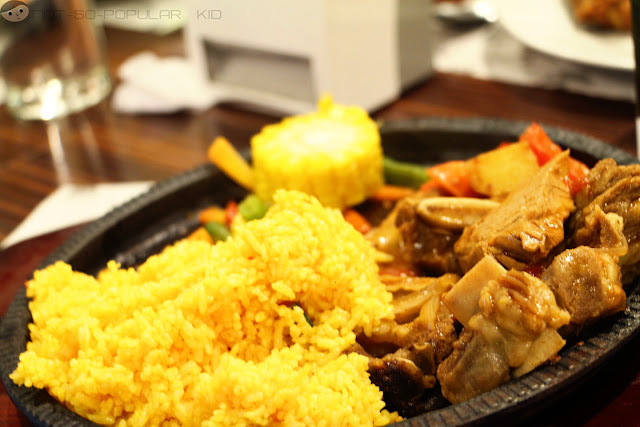 Again, I asked for a small portion to have an idea, and the taste was fine; however, what needed to be improved was the tenderness of the beef. Other than that, the dish was enjoyable too! 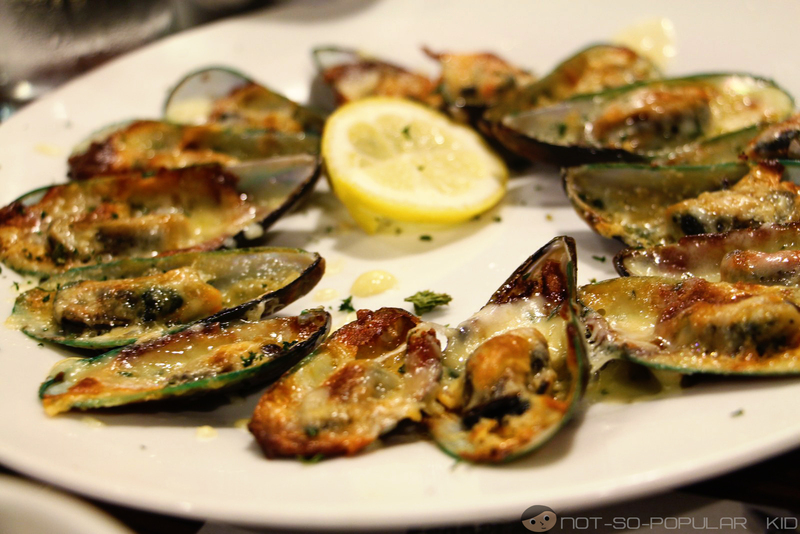 I was pretty excited when this one was served up because I really love the taste of baked mussels or tahong (especially that I recently had one in Marina Seafood Restaurant). However, the excitement slightly subsided when I realized that it looked somehow over-baked. Good thing that I like the taste of slightly burned cheese because this somehow helped in making this dish "okay" for me. The texture, on the other hand, definitely wasn't that great because again, it was over-baked. But disregarding that fact, I think I enjoyed it. As for the desserts, we didn't any because we wanted to have it somewhere else. I would want to make it clear that I didn't have a horrible experience. In fact, I had a fine one. There are things that I didn't quite enjoy, but overall, it was nice. 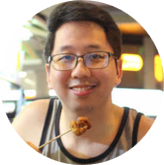 As for my recommendation, again, try to order the steaks and ribs dishes, because I believe those are the ones they are good at. 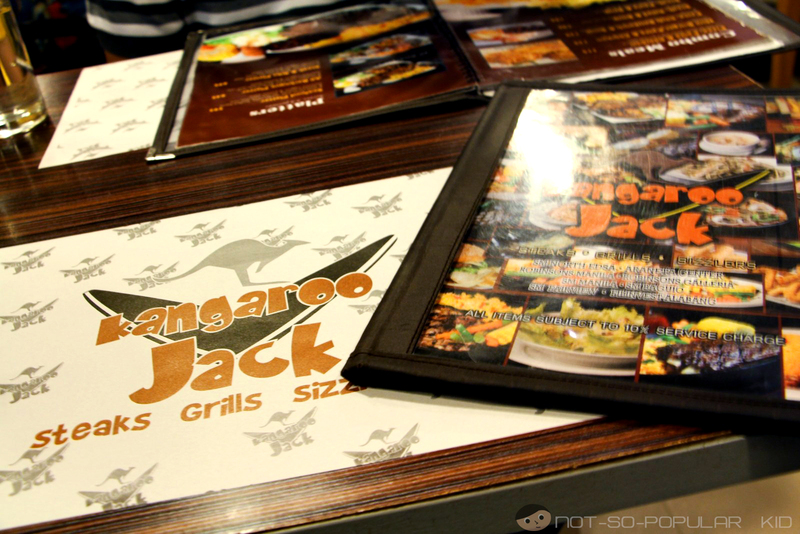 Also, if you are craving for some steak but tight on budget, Kangaroo Jack will be there to save the day! Oh, check out the overall rating below and don't forget to drop some comments, suggestions or questions. I will be glad to respond back. Note about the rating: These scores are based on this experience alone as well as the food that I had during this time. I have yet to try the steak and other a la carte items here, but I'll definitely heed your warning and skip the pastas! I think they still have the eat-all-you-can promo for merienda, but I am hesitant to try it out. And yes, skip the pasta and head for the steaks. Haha! Awwww. I think they are really trying to leverage on being affordable, but quality as well is being sacrificed.